Thanks to Steven Reigns for sending on birthday greetings to us for Anaïs’s birthday on February 21st. Steven’s support of the site has been astounding. He has contributed time and energy and his annotating of the Nin Audios has been an invaluable addition to the site. As important as Sharon Spencer’s Forever Anaïs.as well as the introduction of all the missing Swallow Press information. We are deeply appreciative of his continued help. Steven is a rare blend of scholar and activist artist.Our site wouldn’t have the new additions we have today, such as the What’s new Button or this blog, if it wasn’t for his quiet behind the scenes work. Rebecca also posted to the guestbook and news and message boards with a lovely quote of Anaïs’s. We also appreciate Suzanne Graeber’s sending us on a couple of links via Eric Lloyd Wright’s assistant Lori on recent articles that have appeared. The first is a wonderful article from the Malibu Times that we might have missed on Eric Lloyd Wright and his wife, artist Mary Wright. Eric was Rupert Pole’s half brother and was the architect who designed Anaïs and Rupert’s House of Light, in Silverlake. Actually the piece is a two fold article, The first – from Malibu Times Magazine -is a dual piece with the separate stories of Mary and Eric, as well as some history on the Wright Land. Another article that appeared in the New York Times Magazine (the last Sunday of the New Year 12/31/06) entitled, The Lover Who Always Stays by Sara Corbett. If this link does not work, please register with the Times and access it through their site or go to your local library and check in the newspaper archives. 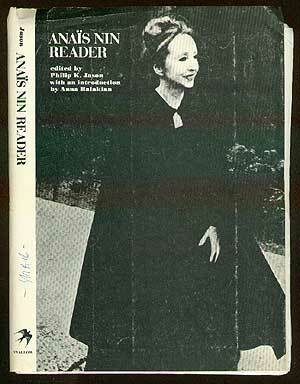 The photo is by Jill Krementz, who also did the photo for the Anaïs Nin Reader. Ms.Krementz graciously allowed us permission to use the photography of Rupert and Anaïs that appears elsewhere on our site as well as in this New York Times piece. The article leads to a bio of Rupert, chronicling his relationship with Anaïs Nin, taken from the New York Times Magazine year end edition titled The Lives They Lived.